Micrel Medical Devices is committed to providing the highest level of support to all users of our products. To that extent, we have created an E-learning website that provides online training for Mini Rythmic PN+, Rythmic Evolution and MP mlh+ products. 16 videos for Mini Rythmic PN+ available in Arabic, Czech, Danish, Dutch, English, French, German, Italian, Spanish and Swedish. 18 videos for Rythmic Evolution range available in Danish, Dutch, English, French, German, Italian, Russian, Spanish and Swedish. 7 videos for MP mlh+ available in English, French, German, Italian and Swedish. This E-Learning website is only intended and limited to products users with an assigned Facility Code. 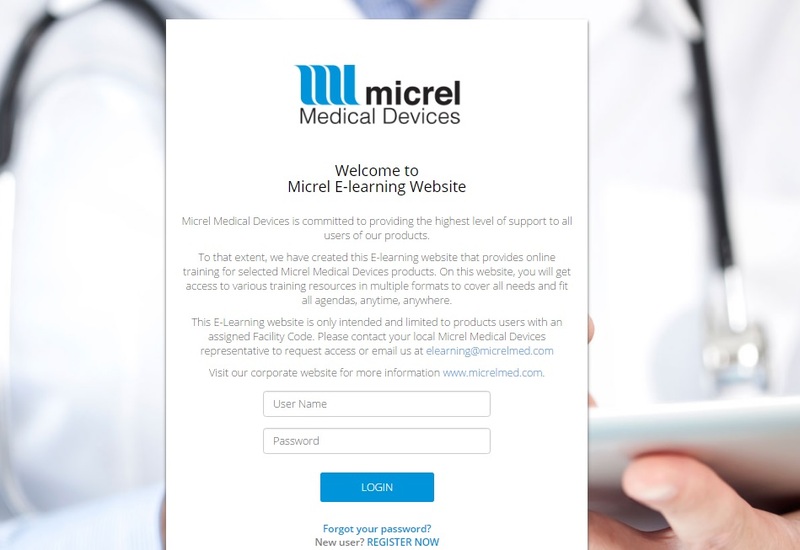 Please contact your local Micrel Medical Devices representative to request access or email us at elearning@micrelmed.com.